The economic time period of Reagan during the 1980's was an economic failure. 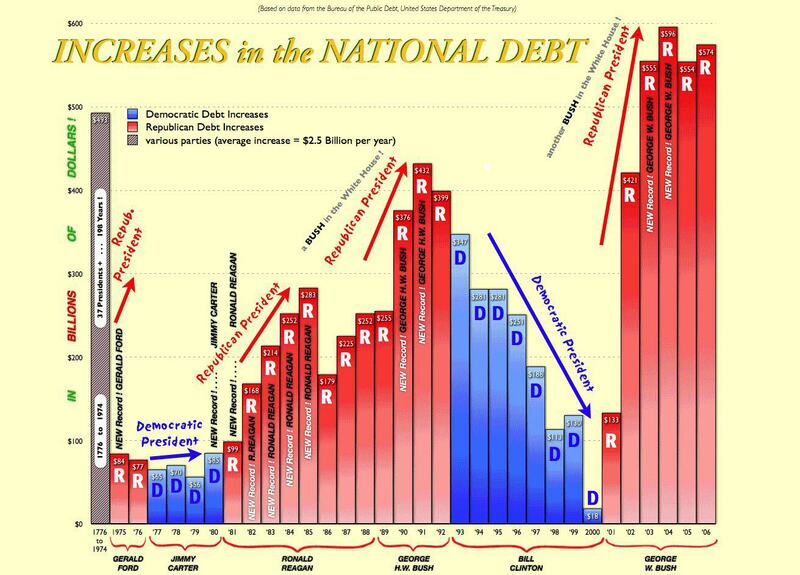 Despite hopes of a balanced budget, Reagan added $2 trillion dollars to the national debt. A factor in the economic failure was the lowering of taxes. By lowering the taxes no revenue was created to match the increased military spending. A "revenue hole" was created from the lack of funding.